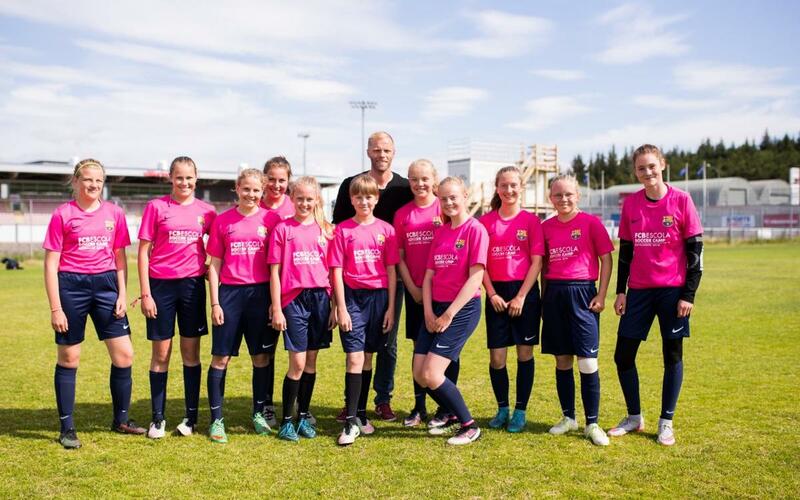 The Icelandic football legend EidurGudjohnsen, who made 72 appearances for FC Barcelona from 2006 to 2009, was on hand in his homeland for the opening of the very first FCB Escola girls football camp, which he hopes to help become a mainstay for years to come. After all, it was Gudjohnsen himself who pitched the idea to his former club, which he helped to four titles over three seasons, including the UEFA Champions League, La Liga, the Copa del Rey, and the Copa de Catalunya. Gudjohnsen pointed out that women’s football has always been more successful than the men’s game in Iceland. Nevertheless, he said the people of Iceland were very proud of what the men’s national team was able to accomplish in this summer’s Euro 2016 in France, where they made it out of the group stage and knocked England out in the last 16, only to fall to eventual runners-up France in the quarter-finals. “We’ll remember that for the rest of our lives,” he said. For now, Gudjohnsen is able to keep his focus on the FCB Escola Camp, which opened Friday and which wraps up on Wednesday. Besides Gudjohnsen, who is one of the Camp’s coaches, a foursome of Barça academy coaches made the trip north to take part. They were joined by several other former Iceland national team players who now work for major European clubs. FC Barcelona Vice President CarlesVillarubí is headlining the closing ceremony of the Camp, which taught the Barça training methodology and its system of values to 295 girls between the ages of 10 and 16. One girl, named Theodora, who was wrapped in her pink shirt emblazoned with the FC Barcelona badge, made it clear how happy she was with the Camp. “I’d love to come back next year,” she said.